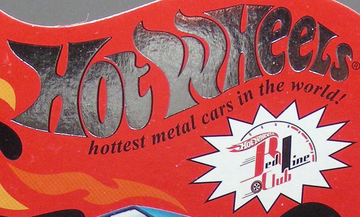 These are items that were offered online through the HWC (Hot Wheels Collectors .com) and the RLC (Red Line Club) or available at official HWC/RLC events. Most releases are offered to Red Line Club members first and then remaining items are sold to HWC members. A few releases are offered exclusively to Red Line Club members. In 2015, the RLC finished releasing all the back ordered items from 2014 which resulted in the 2014 memberships being extended for 1 additional year. The 2015 Mainline Factory Set, the 2015 Treasure Hunt set, and the two Convention RLC cars were the only official 2015 releases. In 2016, RLC memberships were offered again and new series were announced. In 2017, there were more production delays. Due to these delays, all the 2016 RLC memberships were extended through 2017.